Massachusetts Dyslexia Center, located in Fairhaven, Massachusetts, proudly offers the Davis Dyslexia Correction ® Program to clients ages 8 and up. This one-week, intensive, goal-oriented program is designed for the visual-spatial learner! Facilitated one to-one in a fun and supportive setting, the clients leave with life-changing skills. Focusing techniques and understanding how to resolve confusions with letters, words, and other symbols using their creativity and imagination are key features of the program. 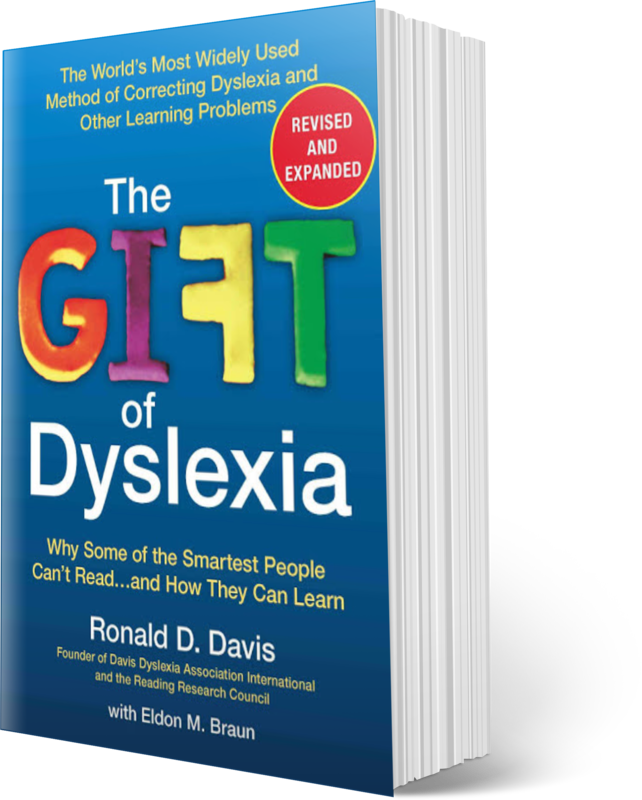 Reading exercises that eliminate guessing and promote comprehension and improved balance and coordination establish a firm foundation upon which clients can continue to achieve their learning goals. If you have been seeking a solution for any of these learning difficulties and would like to learn more, you can read more about the program or call 508-994-4577 to schedule an assessment! If you are unsure whether this program would be a fit, please take advantage of the free Davis On-Line Assessment . "I'm paying attention to the ends of words now. I can hear sounds differently. What you have done for my confidence and self-esteem is inestimable!" "It is difficult to express in words the gratitude we feel for all that you have given [our son]. Of course, much is yet to be seen, but we already can sense a heightened enthusiasm for learning and reading all the books he has wanted to read for so long." "I've been able to read a lot easier. I've been able to keep my cool if [my two sisters] annoy me. And the most important one - I'm more confident with myself. I like reading big words, trying to find the stress (accent). You have made reading for me more fun!"